The popular iPhone game Angry Birds had been hugely popular and had been ported to Android, Windows, Mac OS and what not ! But sadly, BlackBerry users are still waiting for the game to be ported on their devices. Apparently a company called Smarter Apps got tired of waiting and have produced an unofficial clone of Angry Birds for BlackBerry called “Angry Farm”. The gameplay of Angry Farm is almost identical to the Angry Birds, except that you have to control farm animals instead of birds and you’re competing against foxes and not pigs this time. One more appealing reason for BlackBerry users to hop-on to Angry Farm now is that the game has 30 levels and free upgrades for life ! The game is compatible with BlackBerry devices running BlackBerry OS 4.6 and higher. 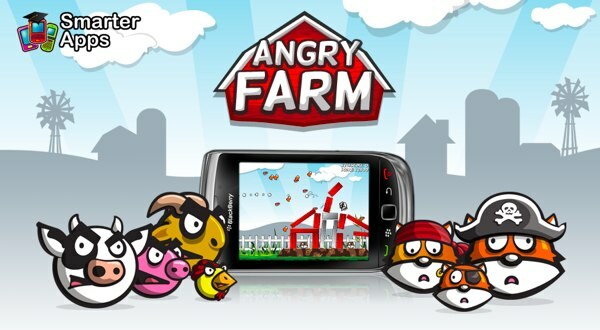 You can get Angry Farm right now from the BlackBerry AppWorld.